Hi KI postdocs! The annual election for the KIPA executive board is coming up, so it's your chance to join KIPA in a leading position! 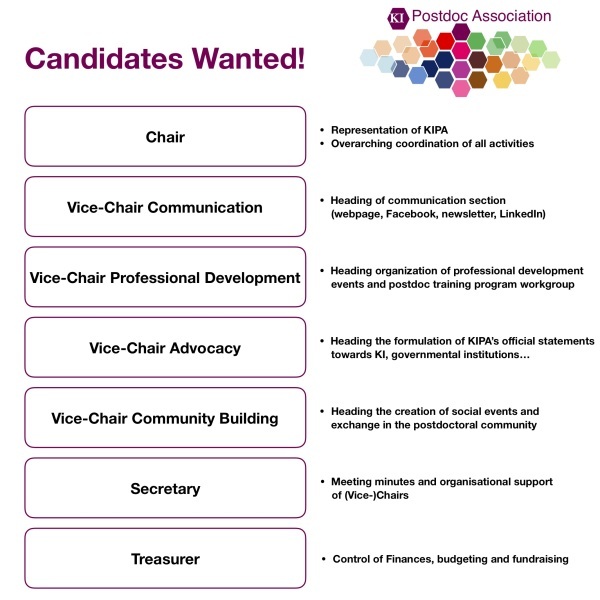 If you are interested in communication, passionate about advocacy, would like to improve postdoc working conditions, want to train your leadership skills, get in contact with KI postdocs from other departments or organize workshops and events... join us and apply for a KIPA board position! Simply contact us until November 26th - and feel free to ask any question that you might have beforehand ( [email protected] ). Welcome to the website of the KI Postdoc Association! We are postdocs at KI providing information for current and future postdocs at KI. Building a ‘postdoc community’ whereby people can get personal support from those that work around them and to facilitate access to any information that can enhance the postdoctoral life at KI both personally and professionally. Discussing and addressing issues concerning the KI postdoctoral community’s working conditions. Informing the KI leadership about the issues and concerns raised by the KI postdoctoral community and making recommendations for revision or creation of KI policies aiming to resolve these issues. Promoting scientific interaction and career development within the KI postdoctoral community by promoting and organizing advanced scientific, management, and leadership training. 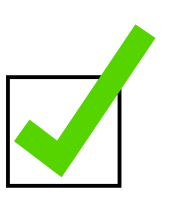 Thinking about taking an active role in the KI Post Doc Association? Subscribe to our newsletter and get more information about upcoming events and meetings! We aim to provide accurate information on this website as a service to you to navigate through your postdoc training at KI as smoothly as possible. We constantly work to have accurate and up-to-date information and expand the content of the website to cover all major aspects of postdoc life. However, the information is not necessarily complete or up to the minute. The provided information is not legal advice. If you need specific advice, you should always consult a suitable qualified professional.